The beautiful island of Ambergris Caye is located in Belize, an English-speaking country just two hours away from the United States. 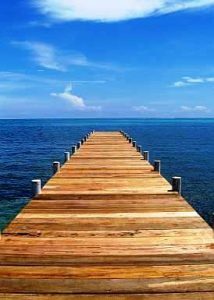 It is 25 miles long and is the largest of the some 200 cayes or islands that are located in the northern waters of Belize as part of the Caribbean Sea. Belize offers an exciting mix of tropical forests ideal for zip lining, tall rolling mountains for some adventurous hikes, mysterious relics and the Belize barrier reef which makes for a stunning destination to fish, snorkel or dive. It was once a part of the Yucatan Peninsula and the theory is that the Mayans who lived here more than 1,500 years ago dug the narrow channel separating Ambergris Caye from mainland Mexico. Here you can go back in time and explore the Maya ruins and temples for an unforgettable educational experience. 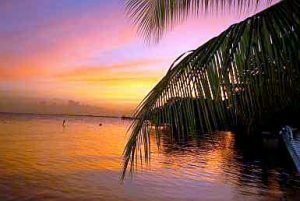 Ambergris Caye is the perfect location for an amazing vacation. The Belize City port is the gateway for exporting citrus, banana and sugar to the ports of North America, Canada and Europe and importing consumer durable goods, appliances and cars. The city is a commercial hub for all kinds of businesses catering to the 70,000 people living there. Tourism has grown to be one of the most important sources of foreign exchange and revenue in the country. It has led to the development of new hotels, resorts, real estate, Eco-tourism destinations and campsites being built in Ambergris Caye. As more and more people become aware of what this Caribbean Island has to offer the growth and development continues. In rural areas, smaller logging operations continue to harvest tropical hardwoods within government regulations and shrimp farms are springing up for export purposes. 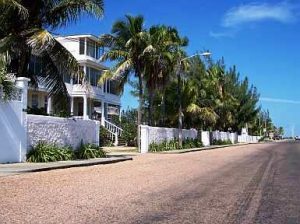 The growth in tourism and the population has made Ambergris Caye real estate construction a popular trade. Government efforts to improve the infrastructure add to the growing economy, providing employment opportunities. Professional services like banking and insurance, medical and legal practices are rising. Within Belize City there exists a network of services catering to overseas businesses and potential investors. With the inception of the Retired Persons Incentive Program, Belize is becoming a popular retirement destination. 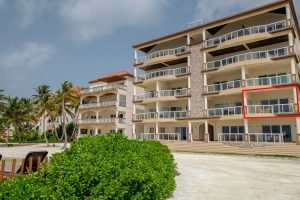 Special tax breaks, easy access to any land needed for the construction of Ambergris Caye real estate development, a stable Belize dollar and close proximity to the US, Mexico, Central America and the Caribbean are just some of the advantages for considering Caribbean real estate investment on the island. Ambergris Caye real estate is fairly inexpensive compared to other popular Caribbean and Latin American destinations. Although actual Ambergris Caye real estate prices are higher than most of Central America, Belize is economical in general, in terms of cost of living, especially for the Caribbean and Central America. Non-Belizeans pay 10% of the real estate purchase price as a Stamp Duty or Transfer Tax. Registration and fees are nominal with each individual guided and entitled to seek personal Legal Counsel. Whether you’re looking to simply go on vacation, or invest in Caribbean island real estate, Belize and Ambergris Caye offer the unique combination of being both incredibly beautiful and extremely affordable.